Preoperative anxiety is a common emotion among patients awaiting and about to undergo surgical procedures. Until recently there has been a lack of published peer-reviewed scientific research into the effects of essential oils on anxiety in preoperative medical contexts. Researchers from Miami University's Miller School of Medicine (FL, USA) and United Hospital, St Paul (MN, USA) conducted a series of experiments to investigate whether or not the essential oil lavandin is more effective than the standard allopathic healthcare typically used to try to reduce preoperative anxiety. As part of their research 150 adult patients were randomly assigned to either a 'control' (standard care), 'experimental' (standard care plus lavandin essential oil), or 'sham' (standard care plus jojoba oil) groups. 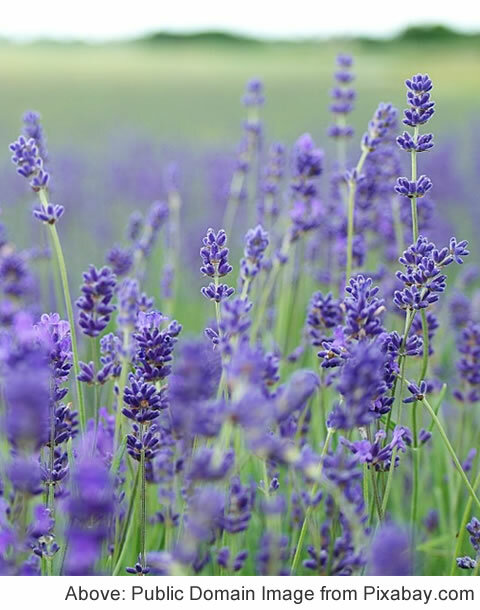 Some of the health effects that have been associated with lavandin essential oil generally include antidepressant, antiseptic, analgesic, cicatrizant, expectorant, nervine, and vulnerary. However it is important to bear in mind that any such effects would be expected to depend on appropriate use and concentration or 'dose', and that there may be situations in which it is not safe to use this oil at all. The anxiety level of all these patients was assessed both on admission to the facility and on transfer to the operating theatre. When interpreting the assessments of the anxiety levels of all patients participating in this study, the researchers also took into consideration other relevant variables such as baseline anxiety and pain. The overall outcome of the study was that 'experimental' group that received the lavandin essential oil as part of their treatment for preoperative anxiety showed significantly lower anxiety when transferred to the operating room. The authors of the study therefore suggested that lavandin essential oil may be a simple, low-risk, cost-effective intervention that might improve preoperative outcomes and increase patient satisfaction. They went on to recommend that further research be carried out to investigate the effects of lavandin essential oil in the postoperative phase and in specific populations with documented high anxiety. This research has been published in the Dec 2009 issue of the Journal of Perianesthesia Nursing - full reference below. News is included to provide information about current issues but not to endorse any particular view, activity or product. Any opinions expressed in this article are not necessarily those of IvyRose Ltd.. At least some of the material on this page was released by the source indicated below on or about 24th December 2009.This article has been prepared by IvyRose using information and quotations that may also be from various other sources, as well as any further comments, explanations and images credited individually. Source(s): University of Miami, FL, USA.